Nothing says 'Happy Holidays!' 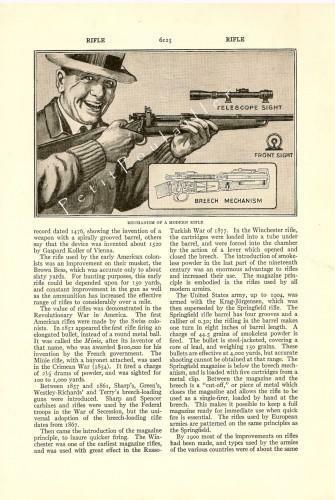 better than a laughing man with a loaded rifle. 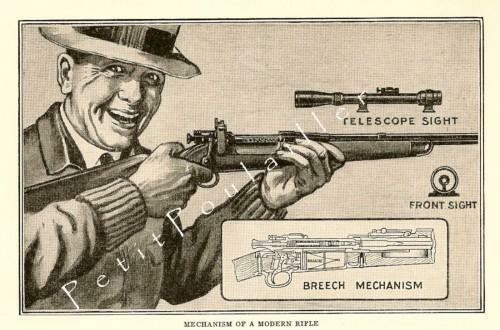 Here's a great black and white lithograph from a 1935 encyclopedia - 'Mechanism of a Modern Rifle', featuring The Happy Huntsman and his new rifle along with three insets illustrating all the cool new features of said rifle. The heavy paper measures 6.75" x 9.75" (17x25 cm), is smooth and clean, and the illustration is clean and clear after these 75+ years. There are no tears, folds, marks or creases. A perfect gift for your favorite hunter ... or perhaps you'll use this in your art - card and tag creations, scrap-book page making, collage.